Anyone who's ever borrowed money or applied for a credit card in Canada has a credit file. Everyone should check theirs at least once a year. We show you how to get a free credit report from each of Canada's credit bureaus. So what's in a credit report? You may be surprised by the amount of personal financial data in your credit report. It contains information about every loan you've taken out in the last six years — whether you regularly pay on time, how much you owe, what your credit limit is on each account and a list of authorized credit grantors who have accessed your file. Any company that's thinking of granting you credit or providing you with a service that involves you receiving something before you pay for it (like phone service or a rental apartment) can get a copy of your credit report. Needless to say, they want to see lots of "Paid as agreed" notations in your file. And your credit report has a long history. Credit information (good and bad) remains on file for at least six years. What's a credit score? And why is it so important? Payment history. A good record of on-time payments will help boost your credit score. Outstanding debt. Balances above 50 per cent of your credit limits will harm your credit. Aim for balances under 30 per cent. Credit account history. An established credit history makes you a less risky borrower. Think twice before closing old accounts before a loan application. Recent inquiries. When a lender or business checks your credit, it causes a hard inquiry to your credit file. Apply for new credit in moderation. What are the cutoff points? TransUnion says someone with a credit score below 650 may have trouble receiving new credit. Some mortgage lenders will want to see a minimum score of 680 to get the best interest rate. The exact formula bureaus use to calculate credit scores is secret. Paying bills on time is clearly the key factor. But because lenders don't make any money off you if you pay your bills in full each month, people who carry a balance month-to-month (but who pay their minimum monthly balances on time) can be given a higher score than people who pay their amount due in full. This isn't too surprising when you realize that credit bureaus are primarily funded by banks, lenders, and businesses, not by consumers. You can ask for a free copy of your credit file by mail. There are two national credit bureaus in Canada: Equifax Canada and TransUnion Canada. You should check with both bureaus. 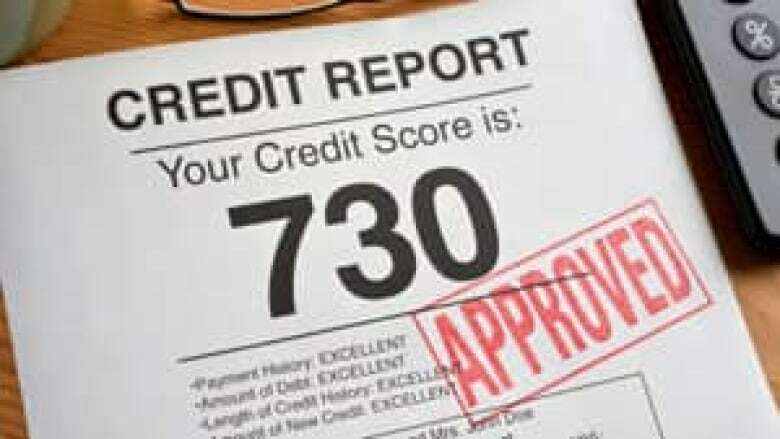 Complete details on how to order credit reports are available online. Basically, you have to send in photocopies of two pieces of identification, along with some basic background information. The reports will come back in two to three weeks. The "free-report-by-mail" links are not prominently displayed — the credit bureaus are anxious to sell you instant access to your report and credit score online. For TransUnion, the instructions to get a free credit report by mail are available here. For Equifax, the instructions are here. If you can't wait for a free report by mail, you can always get an instant credit report online. TransUnion charges $14.95. Equifax's rate is $15.50. To get your all-important credit score, you'll have to spend a bit more. Both Equifax and TransUnion offer consumers real-time online access to their credit score (your credit report is also included). Equifax charges $23.95, while TransUnion's fee is $22.90. There is no free service to access your credit score. You can always try asking the lender you're trying to do business with, but they're not supposed to give credit score information to you. What if I find an error in my credit report? Well, you won't be the first. In millions of files and hundreds of millions of reported entries, there are bound to be mistakes. Some are minor data-entry errors. Others are damaging whoppers. For example, we've heard of instances where negative credit files from one person got posted to the file of someone who had a similar name (the "close enough" school of credit reporting). Some credit bureau watchers estimate that there are errors in 10 to 33 per cent of credit files. Some of those mistakes can be serious enough to hurt your credit status. That hit to your credit score can result in a denied loan or a higher interest rate. Across Canada, provincial consumer agencies collectively get hundreds of complaints annually about credit bureaus. If you find something in your file that you dispute, you can write the credit agency in question and tell them you think there's an error. The credit reporting agency usually sends along the form you need when it sends you the credit report. Use it to spell out the details of any information you dispute. The dispute forms are online, too. Be sure to send along any documents that support your version of the matter in dispute. The reporting agency then contacts whoever submitted the information you're disputing. If the file is changed, you will be sent a copy of your new report and any company that's requested your credit file in the previous two months will also be sent the corrected file. If the item is not changed to your satisfaction, you have the right to add a brief statement to your credit file with your side of the story. You can also ask to have your credit file, along with your comment on the disputed entry, sent to any company that has requested your credit report in the previous two months. You can also file a complaint with your provincial consumer agency. If you spot entries in your credit report that don't seem to relate to you (such as charge accounts you never opened or bad debt notations you never got), you may be a victim of the rapidly-growing crime of identity theft. You should notify the credit reporting company immediately. There are companies that will take the effort of checking your credit report off your hands — for a price. The credit reporting bureaus are, not surprisingly, very active in this area. At TransUnion, their credit monitoring service costs $14.95 a month and includes unlimited access to your credit profile and credit score. At Equifax, credit monitoring and identity theft protection starts at $16.95 a month. There are several other companies offering similar services for similar prices. They usually include features like e-mail alerts when there's a change to your credit report. It's a personal decision whether you feel these services are worth the money. The bottom line is you can always check your credit report for free by mail. Or, you can pay to get it online whenever you want. People who have been the victims of identity theft or people who are worried that they may be susceptible to ID theft may consider the expense worthwhile. Should I pay to use a credit repair service? Industry Canada says there's no point in hiring a company that claims it can improve your credit rating. Firms that say they can "fix" a bad credit report are often little more than fly-by-night operations designed to relieve you of hundreds of dollars in return for nothing. There's no way a credit repair clinic can change accurate information that doesn't reflect well on you. The only thing they can fix on your behalf is an inaccuracy in your credit file. And you can do that yourself free of charge. Public Interest Advocacy Centre: Credit Reporting: How Are Consumers Faring?